Did you know that your heart will continue to beat even outside your body? This fist-sized organ keeps beating until you take your last breath, and surprisingly it’s the organ we least have to worry about. Cardiac cells stop dividing, so there’s little possibility of tumors or cancers. These cells are so energetic, they keep you alive with every beat. The moment your heart stops beating, your body could come to a still. So, a healthy heart would mean a prolonged healthy life. The heart would remain healthy if its associated vascular system is functioning without any obstructions and if the blood pressure is stable. Heart health can be maintained for a long period of time with proper diet and fitness, and you could even try safe and effective heart health supplements. Heart supplements are used so that blood pressure levels and vascular health can be maintained. This is particularly beneficial for those whose family history is ridden with heart problems. According to the Centre For Disease Control (CDC), heart diseases are one of the leading causes of death of women and men in the US. Thus, heart health supplements, along with a controlled lifestyle can help you manage your heart problems. Those with arrhythmia, heart attack history or blocks within the heart due to cholesterol, are often advised by medical experts to consume heart supplements. 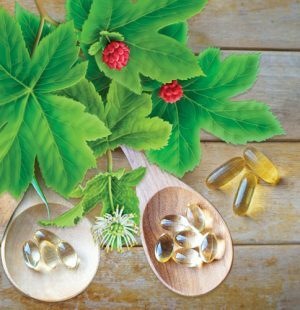 There are various kinds of heart supplements, but the well-known ones include coenzyme Q10, omega-3 fatty acids, astaxanthin, and some plant extracts. Clinical studies have shown that these substances have been linked with improved heart function. Some of these substances act as antioxidants, which get rid of damaging molecules. Others act as anti-inflammatory ingredients which also help to lower harmful cholesterol. Astaxanthin is being further studied for its potential in anti-aging and cognitive function roles. Thus, not just heart health, but these substances can benefit you in many other ways, such as reducing allergic reactions, which is why it’s a good idea to take heart health supplements. However, with every action comes responsibility. Although supplements are meant to support your well-being and overall health, they’re not meant to be alternatives to food. Don’t take heart health supplements unless your physician doesn’t approve. 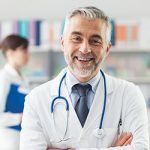 Although we have a dedicated team of healthcare professionals who have worked relentlessly to pick the best possible supplements in our review, you should still talk to your physician, who knows your heart health better than anyone else. I bet this is not your first time reading a review. Since you couldn’t trust the previous ones you ended up here, looking for a minimum ounce of trust. You don’t know who wrote the review and how reliable the information is, yet you want answers. We, at Supplemania, want to hold on to that trust, by giving you reviews with as much accurate information as possible. First of all, our research has been carried out for the past five years, so we can assure you that we are experienced in this field. We worked hard in our reviews with the sole intention of helping you find what’s best for you. Our team consists of physicians, nutritionists, biochemists and various other scientists who have tried their best to ensure the products are safe for use and actually support heart health, immune system, cardiovascular function, and detoxification. After around 48 hours of relentless research and scouring through scientific data, we were able to come to a conclusion. We tried our best to ensure that there has been no bias towards any particular product or brand, as we are not here to advertise. We simply want to provide genuine information. We looked into over 50 products, out of which we handpicked the top 10 products and placed them in this review. If you still think that we’re not good enough, you can check out our detailed product research here, and see our methodological research yourself. We often ignore the various ways the heart lets us know that it’s sick and it needs help. We confuse it with the symptoms of other problems, and we pay very little attention to this beating muscular bag. It’s great if you have a good, working heart with zero problems, but if you’re wondering that you don’t, check for these signs and symptoms and consult a physician immediately. Remember, only your physician could recommend you the appropriate medications and supplements you need. The coronary artery supplies fresh blood and nutrients to the heart muscles, so any problems there could indicate a weaker heart. The most common symptom, in this case, is chest pain – also termed as angina. The pain could also be around shoulders, neck, jaw, back, etc. Angina is often mistaken for heartburn or indigestion. You could also feel shortness of breath, nausea, dizziness, irregular and faster heartbeat, or an aching heavy feeling in the heart. Often heart attacks are silent, especially in people with diabetes. Still, there are ways to know whether you’re having a heart attack. You could feel discomfort, a choking feeling, increased sweating and shortness of breath, irregular heartbeats and a lot of pain in the chest. When dealing with a heart attack, call 911 immediately and seek medical help, so that the damage done can be as low as possible. Arrhythmia means irregular heartbeat, so if you feel palpitations, chest pounding, shortness of breath, fatigue and if you feel like fainting, you should seek help. Valves ensure that blood flows in one direction and not backwards. Any defects in the valve could indicate a problem. If you feel heavy in the chest, or can’t catch breath even when you are resting, or palpitations, it means your valves are not working properly. Valve problems sometimes lead to heart failure, which you can suspect if you see swollen feet and sudden weight gain. White material may come out when you cough. You also may have a congenital heart problem. Birth defects can go undetected for a long period of time. You won’t be able to exercise as you’ll have a shortness of breath and you’ll see the same symptoms of valve disease and heart failure. Pericarditis is a kind of inflammation that occurs in the outer lining of the heart. With pericarditis, you could feel a sharp pain more towards the center of the chest, unlike angina. The pain can get worse with coughing and swallowing. You could feel feverish and your heart rate would increase. Before taking any heart health supplement you should be aware of these conditions and check with a physician. These supplements may interfere with the particular medications you take to treat these heart conditions, so think before choosing a supplement. Supplements may help your heart, but you should also put some effort on your own. A few changes in your lifestyle can go a long way. You might have to control your diet, give up on your favorite food items and work out a little bit, but the results are worth it. If you have a family history of heart disease, you might be susceptible to an increased risk, so you should take care of your lifestyle habits even more. Reduce salt consumption. There’s a good reason for that! Salt in the bloodstream affects the concentration of water, that is, the osmotic gradient. Too much salt could cause water to enter the bloodstream which could cause the blood pressure to increase. High blood pressure is known to damage the endothelial walls of blood vessels. Damaged blood vessels have difficulty to push blood through, which could lead to further damage. Salt is found in packaged food items and restaurant meals, so if you have to cut down on salt, start from here. Reduce fat intake. Not all types of fats and oils are bad for you. The ones that are bad are LDL cholesterol, trans fats, and saturated fats. Clinical studies have shown that trans fats can contribute to an increase in LDL cholesterol, which can accumulate to form blocks throughout blood vessels and heart. It’s better to avoid trans fats completely, and reduce intake of saturated fats so your cardiovascular system can work properly. Quit smoking. The act of smoking or inhaling smoke indirectly, stresses on the body organs, particularly the lungs and heart. Giving up on smoking is quite painful, as you would go through a number of withdrawal symptoms, but once it’s over you can enjoy a healthy life. Heart rate lowers within 20 minutes after you stop smoking, and the risk of heart attack lowers within one day! Over time, plaques that formed over time can be reduced. Control stress and manage anger. Stress and anxiety are burdens to your mind and function, and contribute to the likelihood of stroke. There are a number of ways to help cope with stress, for example, meditation, yoga and even therapy sessions with a mental health professional. Many have found supplements for anxiety very beneficial, so you can also try them. Exercise to remain fit and healthy. Exercising helps pump blood faster, which allows more oxygen to reach all parts of the body. Blood pressure becomes more evenly distributed and good cholesterol is produced. Thus, exercising leads to a healthy and functioning heart. To ensure we bring the best products on the plate, we underwent a rigorous methodological research process. We started off by going through 20000 or more consumer reviews and opinions, and picked out features we deemed to be important. These features are what makes these products worth their value. We consider the negative and positive aspects of each feature for every product and make a side by side comparison. Despite the risk of side effects, we tested these products on consenting volunteers who regularly consume supplements. We had a control group and experimental group to compare the results of using the selected supplements. We matched the reviews given by our volunteers with the reviews given by online users of over 50 different products. Not just the reviews, we also scoured through packaging details and website descriptions of each product. Then we were able to shortlist 21 supplements. We analyzed the pros and cons of these products, consider the features, prices and review frequencies, and came up with a list of the top 10 heart health supplements. There are all kinds of dietary supplements that we take so that we can lead a healthier life, but we forget that these supplements are not the same as prescribed medicines. They’re also not substitutes for food. They contain an array of ingredients. Check the list of ingredients to ensure there are no allergens inside. Supplements may come with the risk of side effects. 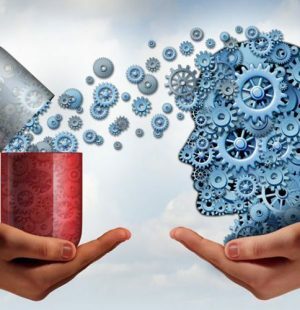 Keep in mind that the number and severity of side effects vary from person to person and may not be similar to as what’s written in product descriptions. Never take more than the recommended dosage suggested by your healthcare professional. If you have a certain medical condition or are under certain medications, you should talk to your doctor before taking any supplement. Supplements contain ingredients that have clinically shown to provide some form of relief towards certain symptoms and conditions, but they cannot be used to treat or cure diseases. 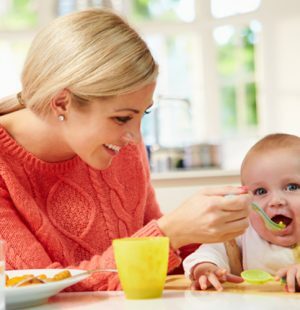 Thus, they are not alternatives to prescribed medicines or healthy foods. We were fully aware of the possible side effects, and we decided to test only those that have shown the least side effects. There’s no guarantee that everyone will have the same side effects. People with allergies or certain conditions may have more side effects than a normal person. A user might not come across any side effects ever at all. So despite the possibility of having side effects written in packaging and websites, they might not be applicable for you. For any supplement, if you see any severe side effects, you should immediately discontinue use and contact your physician whenever possible. The U.S FDA doesn’t control or check the effectiveness of supplements before they’re marketed. We found a total of 21 heart health supplements worth our attention. We analyzed 26 features of each product and shortlisted the 10 products we thought were simply the best. All information was taken from product manuals, drug fact sheets, website information, volunteers and user reviews. For every product, we tried our best to calculate effectiveness and price per value, and also considered review frequencies and ratings to ensure that the product remains popular. Based on the data, we were able to provide our Supplemania score to each product. With all the information in hand, we are fully confident of our list. Without further ado, I hereby present the 10 best heart health supplements of 2018. Price $12.50Prices are accurate as of April 21, 2019 at 03:56 AM. Product Prices and availability are subject to change. Any price and availability information displayed on Amazon at the time of purchase will apply to the purchase of any products. 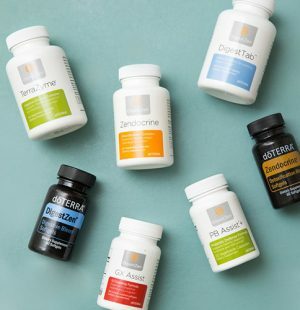 Doctor’s Best was founded in 1990 by a physician who wanted to integrate scientific research and use of traditional herbal supplements to create the best nutritional supplements. Their formula development process is carefully done to ensure precision, quality, and effectiveness. Using the best quality raw materials. High emphasis is placed on analyzing scientific reviews and traditional therapeutic activities used to enhance nutrition. The aim of the company is to provide better alternatives than the so-called effective supplements out in the market. Each of their products come with fact sheets, detailed information on the structure and function of ingredients and scientific references. The information provided is in accordance with DSHEA and FDA regulations. Doctor’s Best has over 200 products with quality ingredients that have been tested. Their products are manufactured in cGMP certified facilities. All products are tested by third-party organizations. These heart supplements use an effective array of premium ingredients to target cardiovascular issues. The softgel capsules are easy to swallow & quick to work, with bioprene ensuring ultimate absorption. This product contains coenzyme Q10, also called CoQ10 (ubiquinone), which is easy to absorb because of the presence of Bioperine. 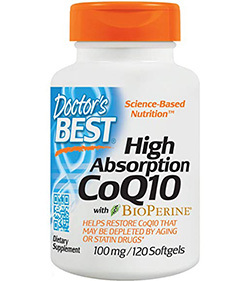 The main function of CoQ10 is to help provide energy to cells, as it supports the production of ATP energy molecules. This is especially in the case of heart cells and blood vessels. 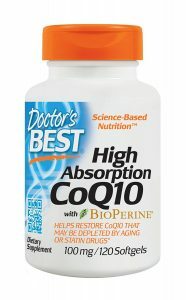 With age, stress and the presence of free radicals or statin medications, the absorption capability of CoQ10 decreases. This is exactly why this product contains Bioperine. 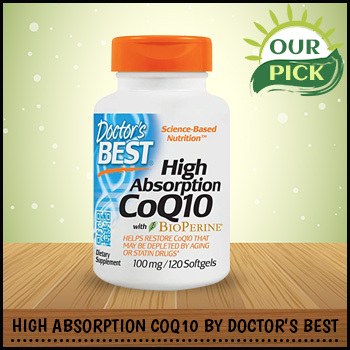 With Bioperine, the bioavailability of CoQ10 increases, which allows cardiovascular vitality. According to numerous scientific studies, CoQ10 contributes to heart health, but after the age of 40, its levels naturally decline. Thus to support heart health, CoQ10 supplementation is crucial. It’s a coenzyme that also works as an antioxidant to protect cells from free radical damage. It can spark chemical reactions needed to produce energy in the immune system, brain, skin, gums, etc. This product comes in the softgel form. You should take 1 softgel daily along with food. However, the product contains soy. If you are allergic to soy, you should avoid this product. There is no gluten. This product comes in two versions. One version comes with 60 softgels while the other version comes in 120 softgels. Users have reported abdominal pain and gas problems. Although there are other CoQ10 supplements present in the market, this supplement simply won our hearts! Our volunteers reviewed the product positively, but here are a few other reasons that made this product the leader of this list. We checked more than 2700 user feedbacks and identified the positive and negative reviews. With this analysis, we were able to infer that the ratio of positive to negative reviews was 18:1! 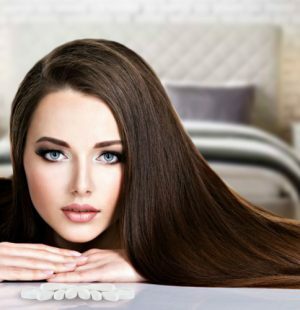 Users have mentioned that the product is quite effective. Another reason for this supplement being our top pick is the fact that this supplement was formulated in a way that benefits specifically the cardiovascular system. The price per dollar of this product is the best in our list. Its price is the most affordable compared to all other products that made it to our list which is around $12. One bottle would last you 3 solid months, so this product is definitely worth every penny. This product showed the best review frequency compared to other products on the list. At the time of research, we found the review frequency to be 10 reviews in 3 days, 10 reviews 3 days earlier than that, and 10 more reviews 6 days earlier than that. Users have rated this product 4.2, which is very good. Lastly, we could not help but consider the fact that this product is effective because of its way of functioning. The ingredients are meant to help support cardiovascular function, and clearly, this product does that thanks to the presence of coenzyme Q10 and Bioperine. They help the heart cells to become energized and also protects them from free radical damage. This is important because cells where energy is produced usually undergo oxidative stress. With every information in hand, we decided to provide this product a grand Supplemania score of 9.7. Price $23.33Prices are accurate as of April 21, 2019 at 03:56 AM. Product Prices and availability are subject to change. Any price and availability information displayed on Amazon at the time of purchase will apply to the purchase of any products. Qunol provides the best quality coenzyme Q10 supplements as well as turmeric supplements in the market. They ensure their formulations are easy to absorb compared to other products. The CoQ10 helps to replenish levels of CoQ10 which naturally decreases as the body ages, so that you can lead a prolonged healthy life. As an added benefit, it also acts as a powerful antioxidant so that your organs can be protected from oxidative stress. Within a week, this product can restore your blood CoQ10 levels, and also support adequate energy production throughout the cardiovascular system. Cardiologists recommend very highly of this product. The ingredients are soluble in both fat and water. Statins or drugs to treat to cholesterol levels can decrease levels of ubiquinone. This product helps to quickly supplement the body with CoQ10 to replenish its levels, thus this product is appropriate for those under statin medication. This product could have easily been our top choice. We went through over 2200 user reviews associated with this product and considered both positive and negative feedbacks. We found the positive to negative ratio to be 8:1, which shows a generally positive consensus among users. It’s also one of the reasons why this product couldn’t get to the top. Its effectiveness and price index is also moderately good, but slightly lower than that of our top pick. With one softgel consumption per day, the product bottle will last you a solid 2 months, but still, since this comes at a slightly higher cost (around $23) than the top pick, we had to place it second on our list. This product comes with a user rating of 4.4 at the time of research, and also has similar review frequencies like our top pick. The review frequencies showed 10 reviews in 3 days, 10 reviews 3 days earlier than that and 10 more reviews 4 days earlier than that. This indeed represents how popular the product is among heart health supplement users. This supplement is extraordinarily popular, with a consistent wave of customers & effectiveness levels, it’s slightly more expensive than most but with premium ingredients to match the price. This product is fat and water soluble, which means the ingredients are better absorbed compared to other products. You’ll have standard CoQ10 levels in just a few weeks. 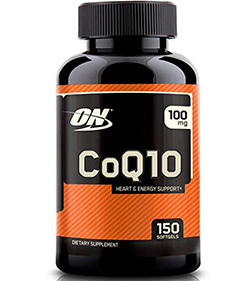 CoQ10 acts as a potent antioxidant and helps in energy production, especially in cardiac cells. Thus, it helps to main cardiovascular health and also supports blood pressure regulation. Because of its superior absorption capabilities and quick action, cardiologists highly recommend this product, so that you can experience the results faster. Statins are cholesterol-lowering drugs that often interfere with CoQ10 levels and their effects. 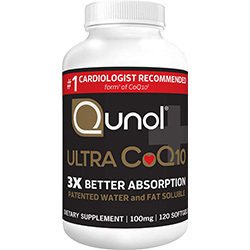 This product is useful for statin users as it helps to rebuild CoQ10 levels quickly. It helps in ATP production to energize the body. Your healthcare professional will tell you about the recommended dosage, but according to the package description, take 1 softgel daily with food. Users reported having indigestion problems. Price $18.91Prices are accurate as of April 21, 2019 at 03:56 AM. Product Prices and availability are subject to change. Any price and availability information displayed on Amazon at the time of purchase will apply to the purchase of any products. 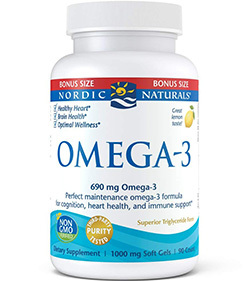 This product from Nordic Naturals is an award-winning product that contains research supported, healthy ingredients that have undergone rigorous quality control tests. Nordic Naturals was established in 1995. They have dedicated themselves to creating safe and effective formulations that also taste good. In fact, Nordic Naturals fish oils have been tested in certified labs for detection of heavy metals and other environmental toxins. The fish oils contain pure triglycerides. You can ask for analysis results if you want. Fish oils are omega-3 fatty acids, and this product contains 690 mg of omega-3 in every serving, which is a bit higher than the recommended dose. This product doesn’t contain gluten, dairy ingredients or GMO ingredients. The fish oil is extracted from wild, freshly caught fish. Nordic Naturals practice socially responsible and ethical actions for safeguarding the environment and maintain corporate transparency. These softgel capsules are easy to take, & full of heart nourishing omega-3 directly from wild-caught fish. With an ethical company ethos, high levels of effectiveness & extreme customer popularity, these are a total hit. The good thing about this product is that the taste is so good, you won’t have to worry about your breath smelling fishy. Other than that, the product contains a good balance of omega-3 fatty acids, including DHA and EPA. Clinical studies have shown that omega-3 oils are good for immune function, metabolism, healthy sugar levels and stress control. These oils are also known to improve cardiovascular health and respiratory function, brain function and even joint flexibility. You can get this product in liquid form as well. These softgels help maintain healthy levels of cholesterol and supplement those with omega-3 deficiency. Other fish oil products contain omega-3 in ethyl ester form but this product comes in triglycerides form so that absorption in blood occurs faster. With the citrus essence and other natural flavors infused, this product will not give you any uncomfortable smell, aftertaste or taste. Recommended dosage is taking 2 softgels everyday with food. However, you should consult your physician before use, especially if you’re taking blood-thinning medications or if you’re allergic to iodine. Users have felt a bit discomfort and also faced indigestion problems. Price $10.65Prices are accurate as of April 21, 2019 at 03:56 AM. Product Prices and availability are subject to change. Any price and availability information displayed on Amazon at the time of purchase will apply to the purchase of any products. Nature’s Bounty has been trusted by health-conscious masses for the past 50 years. They are committed to developing quality products that are backed by scientific research and show consistency. Their nutritional supplements and vitamins have shown excellence, using the best ingredients so that users can get the most quality and value. This product doesn’t contain artificial flavors, starch, yeast, milk, gluten, wheat, sweeteners, sugar, preservatives, sodium, and shellfish. 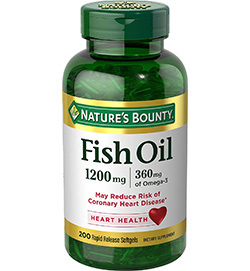 The fish oil has a whopping 1200 mg of omega-3 fatty acids DHA and EPA which supports cardiovascular health, maintains normal triglyceride levels, improves cellular metabolic functions. Every softgel contains 60 mg omega-3 oils. The product contains no mercury. Potency and purity of ingredients and the finished product are tested within their microbiological facility to ensure the quality of the product. Ingredients that meet the quality standards set by GMP are chosen. These potent softgel capsules are packed full of 1200mg of omega-3. There are no traces of mercury, & no after-taste, so you can reap the heart-loving benefits of eating fish, without actually having to! These softgels are odorless, with an appropriate amount of DHA and EPA to support the cardiovascular system, metabolism, immune system, bone health, and cellular processes. A healthier heart means a healthier life. The softgels have been designed in a way that’s easy for users to consume and produces a gentle effect. The product comes in around $10, with 200 softgels. Adults should consume a softgel 3 times a day, with a meal. Consumers reported of having gas problems and experiencing abdominal pain. Price $41.92Prices are accurate as of April 21, 2019 at 03:56 AM. Product Prices and availability are subject to change. Any price and availability information displayed on Amazon at the time of purchase will apply to the purchase of any products. This product has been ranked by customers as a bestseller, for providing high quality essential fatty acids that help to support brain and heart health. 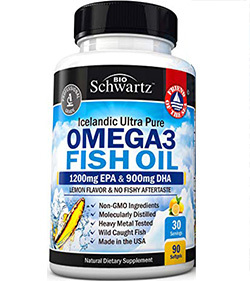 Researchers and physicians recommend this product as it contains concentrated amounts of fish oil which delivers more omega-3 in one serving than other fish oils, so basically, more benefits in one go! Nordic Naturals always ensure their products are certified toxin-free, with no heavy metals. Only the purest triglycerides are inside that have passed rigorous tests of freshness and purity. No GMO, gluten, dairy, preservatives or artificial colors are inside this product. The fish oils have been extracted from fresh fish, rich in omega-3 fatty acids, ensuring that ethical and environmentally sustainable procedures have been followed. These capsules actually deliver just over the American Healthcare Association’s recommended dosage of omega-3; they’re that potent! The fish are ethically sourced & the capsules are lemon flavoured for a fresh kick. DHA and EPA are known to be essential for the development of brain, joints, eyes and heart health, and may also play a role in keeping a steady mood. EPA and DHA can also support metabolic pathways to maintain glucose and lipid levels, which is important especially for athletes. This fish oil also allows maintenance of bronchial health and appropriate stress response. The triglycerides are in the truest form so that they can be easily absorbed. 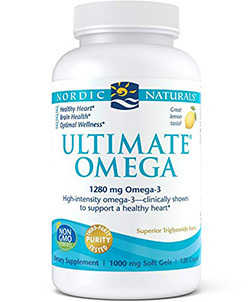 Every serving contains 1280 mg of omega-3 fatty acids, which is more than the recommended daily dose of American Heart Association, and has helped many users with heart health. The lemon taste and flavor has been added so that you don’t burp out unusual odor, fishy aftertaste or smell. This product costs about $41 and comes with 120 softgels. The recommended dosage is taking 2 softgels with food every day, but you should still ask your physician or pharmacist. Consumers have experienced stomach pain and diarrhea problems. Price $25.35Prices are accurate as of April 21, 2019 at 03:56 AM. Product Prices and availability are subject to change. Any price and availability information displayed on Amazon at the time of purchase will apply to the purchase of any products. Qunol provides the best quality coenzyme Q10 supplements in the market. Their easy to absorb formulations are what makes their products highly recommended by cardiologists all over the country. The CoQ10 helps to replenish levels of CoQ10 which naturally decreases as the body ages so you can lead a prolonged, healthy life. 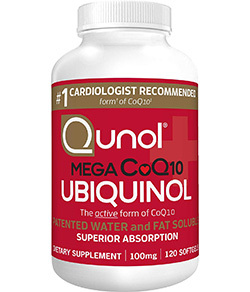 The unique aspect of this product is that the CoQ10 exists in its active form – ubiquinol – so that the conversion of CoQ10 to ubiquinol can be skipped and consumers can easily get the active product quickly. As an added benefit, it also acts as a powerful antioxidant so that your organs can be protected from oxidative stress. These supplements use an active form of CoQ10 to maximize potency, absorption & efficacy. They work to restore the heart, & even replenish fertility in women. They’re versatile, effective & protective supplements. This product is fat and water soluble, which makes it far more superior in terms of absorption, so you can get benefits within weeks. Ubiquinol can neutralize damaging free radicals so that cells can be protected from oxidative damage. With age and accumulation of various environmental factors, the conversion of CoQ10 into ubiquinol progressively declines. This product helps to restore healthy levels of it to support vital functions, even fertility. There is scientific evidence which has shown that CoQ10 supports energy production in egg cells, and because CoQ10 levels decrease with age, women could use this supplement to support the functions of the egg cells. Due to its antioxidant function, it has also shown sperm function support. The American Journal of Cardiology published a study where it was observed that CoQ10 can also reduce muscle pain caused by statin drugs. CoQ10 is responsible for most of your body’s cellular energy production, hence a decline in its levels could mean tiredness and fatigue. With this supplement, you’ll feel rejuvenated and healthy within weeks. The 120 softgels come at a price of about $25. The recommended dosage is taking 1 softgel every day. Users mentioned having constipation and stomach pain. Price $13.97Prices are accurate as of April 21, 2019 at 03:56 AM. Product Prices and availability are subject to change. Any price and availability information displayed on Amazon at the time of purchase will apply to the purchase of any products. We all know how healthy olive oil is, but cooking it at higher temperatures makes it less healthier compared to the actual oil. Health’s Harmony developed a way in which you can get all the benefits of an olive tree in one capsule! The capsule is equivalent to sipping on one cup of pure olive oil, as it contains 750 mg of olive extract, including 20% oleuropein. Health’s Harmony uses ingredients from non-GMO trees, with the olive leaves dissolved to achieve the maximum amount of polyphenols. They ensure the manufacturing is done in American FDA-registered facilities that strictly comply with CGMP so that every batch is of the purest quality. All ingredients in the capsule are vegetarian-friendly, with no fillers or junk. These vegetarian friendly capsules use organic, non GMO olives to create these potent supplements that ultimately work to reinforce overall cardiovascular health as well as the immune system. Olive oil cannot be ingested as it is, but to get its benefits, consuming a capsule is a better idea. Olive oil not only promotes healthy eyes, skin, and hair, it can also do other wonders inside the body. Oleuropein is known to support the immune system and cardiovascular health. Olive leaves were traditionally used on wounds to protect skin from infection, so with the capsule, you get the same benefit from within the body. Additionally, the polyphenols can help fight free radicals and normalize blood pressure. There has been an association of polyphenols with increased CoQ10 activity and lowering cholesterol, so the capsules are definitely good for relieving fatigue and improving heart health. This product costs about $13 and comes with 60 capsules. Take 1 capsule daily with meals or as directed by your physician. If you’re using other supplements it’s better if your physician sets the dosage for you. Don’t continue use if you see any side effects. 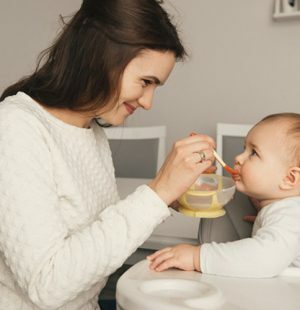 Lactating mothers and pregnant women, individuals under 18 or with known medical conditions should be careful. People who are allergic to ash, privet, forsythia, lilac, latex, kiwi, tomatoes, peach, and potatoes may be allergic to olive leaf as well. Users have reported gas problems and abdominal pain. Other, rarer side effects include heartburn, nausea, dizziness, allergies, and diarrhea. Price $16.97Prices are accurate as of April 21, 2019 at 03:56 AM. Product Prices and availability are subject to change. Any price and availability information displayed on Amazon at the time of purchase will apply to the purchase of any products. This product has been extracted in such a way that allows optimal absorption, odorless taste, and increased bioavailability. The active ingredients are safe and come with the highest potency. It contains 1200 mg EPA, 900 mg DHA and 150 mg of other omega-3 fatty acids. Ingredients have been tested for purity and presence of heavy metals, mercury, arsenic, lead, PCB, cadmium, dioxin and more. Their formulations are monitored by physicians, researchers and health experts who have conducted strict quality control procedures. All ingredients are natural and there are no GMOs, gluten, binders, fillers, artificial colors, flavors, preservatives, chemicals etc. The fish oil is extracted from fish from Icelandic waters, not from a farm. They ensure no marine animals are harmed. However, the product is manufactured in the USA under the strict CGMP compliance. This product also has no egg, corn, wheat, peanuts, shellfish, sugar or sweeteners. It is tightly sealed to ensure safety. Samples are analyzed every 15 minutes to ensure the finished batch is pure. The products are also third-party tested. Formulated & manufactured by experts in ultra-safe facilities, tested in third party labs for effectiveness, these softgel capsules are potent & definitely effective. They’re affordable too & even lemon flavoured! Don’t worry, you won’t burp out fishy smell or get fishy aftertaste. The ingredients inside supports healthy joint function and may help improve joint pain and stiffness. This product also supports heart and vascular health, helps reduce inflammation, improves overall health and mood and so much more. For the price of around $40 you’ll get 90 softgels per bottle. This product contains fish and has a shelf life of 3 years if kept sealed. Consume 2 softgels daily with food. Don’t consume more than 3. Speak to a physician regarding the dosage, especially if you’re allergic, pregnant, nursing, an individual under 18 years of age, under a medication, etc. Don’t exceed the recommended dose. Consumers mentioned having indigestion and feeling discomfort. Other rarer side effects such as itching, heartburn, body ache, acid reflux, vomiting, fatigue, allergic reactions, dizziness, headache, gas problems, and stomach problems may come up. Price $15.76Prices are accurate as of April 21, 2019 at 03:56 AM. Product Prices and availability are subject to change. Any price and availability information displayed on Amazon at the time of purchase will apply to the purchase of any products. Zhou Nutrition is a Utah-based company who believe in creating the best products. Their lab is FDA registered and strictly complies to CGMP standards. 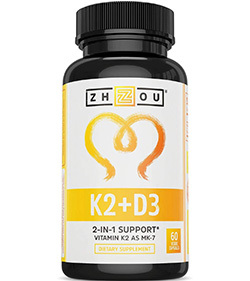 The idea behind this product was to supplement vitamins D and K together. They make for great vitamins for heart health and bones. Adults, individuals with restrictive diets, overweight people and people with darker skin tones are more prone to vitamin D deficiency. Symptoms of deficiency include feeling down, painful bones, gastrointestinal problems, and brain fog. The active form of vitamin D in our body is vitamin D3, which is needed for proper calcium absorption. However, vitamin D3 can’t be consumed alone. It needs the help of vitamin K2, which directs calcium towards the bones. A deficiency of vitamin K2 means calcium will go to the arteries, which could cause calcification. This could affect heart function. Thus, these are the best vitamins for heart and circulation. These vegetarian friendly capsules use vitamins K2 & D3 to effectively maintain cardiovascular health, without having to bask in the sun all afternoon. With a strong customer base they’re worth a try! Vitamin D and K work hand in hand. This supplement will deliver you the right amounts so that you don’t have to suffer deficiencies. With this supplement, you won’t have to sit under the sun to get vitamin D3. The capsule is easy to swallow and contains vegetarian ingredients. At around $15 you’ll get 60 vitamin capsules. Take one capsule every day with food, or as recommended by your physician. Users have mentioned indigestion issues. 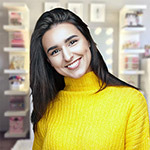 Price $19.99Prices are accurate as of April 21, 2019 at 03:56 AM. Product Prices and availability are subject to change. Any price and availability information displayed on Amazon at the time of purchase will apply to the purchase of any products. Optimum Nutrition is a sports nutrition company who control and own their nutritional supplement production facilities. They’re one of the world’s largest sports nutrition products manufacturers and also the best. The technicians responsible for quality assurance ensure they get the best and the right raw materials to formulate the top notch and truly best supplements for cardiovascular health and fitness. This product is meant to supplement daily energy in the form of softgels, promoting healthy blood pressure levels and heart health. Manufactured by a company based around fitness supplements, these softgel capsules maintain cardiovascular health & help to protect the heart. Expect better blood pressure levels, more energy & a better exercise performance. This product contains 100 mg CoQ10 which promotes cardiovascular health, boosts brain power and memory, promotes normal blood pressure and good circulation, supports cellular energy production and helps strengthen the immune and nervous systems. With $19 you’ll get 150 softgels. Fix a dosage with your physician or medical professional. You could experience stomach problems. The heart wants it what it wants, which is healthy blood flow so that it can continue its rhythmic beat until your very last breath. However, cardiac cells don’t grow or regenerate. So if for any medical condition or disease, your cardiac cells die, your life could be in danger. Those with family histories of heart issues have it even worse, which is why it’s important to take care of your heart from a young age. A healthy heart can be established and maintained for a long period of time with appropriate diet, exercise, sleep, and an overall healthy lifestyle. With age and certain medications, or changes in environment, your heart will slowly start to lose its energy. CoQ10 and omega-3 fatty acids found in fish oils are known to support energy production and also help support brain, immune, bone and blood vessel function, most importantly cardiac function as well. This means, with regular supplementation of these ingredients can be a life-saver! However, some conditions or diseases may not allow you to take these supplements, so it’s best to consult your physician regarding the dosage and product you should use. With the right supplement, your heart will enjoy a prolonged, better and healthier lifespan. You should choose the best supplements for health that suits you perfectly so that you can live a stress-free life. Astaxanthin – It’s a reddish compound that is usually found in different types of fish. It’s usually used to treat conditions like high cholesterol, Alzheimer’s, Parkinson’s disease etc. Trans Fats – Trans fat is also known as the “Bad Fat” for your body. It’s responsible for problems with high cholesterol with an increased risk of heart attack. Ubiquinone – Also known as CoQ10, it’s one of the main compounds for heart health supplements. It’s responsible for mitochondrial electron transport. DHA – Also called docosahexaenoic acid. It’s an essential fatty acid necessary for brain development. EPA – Also called eicosapentaenoic acid. It’s one of the essential fatty acids that are necessary for your brain development. Triglyceride – Three glycerol molecules combined creates a triglyceride. It’s the active form of fat present in our blood. 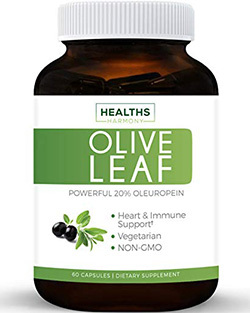 Oleuropein – It’s the active ingredient found in olives. Polyphenol – It’s a group of phenolic compound that is commonly found in green tea, turmeric, and other natural herbal products.